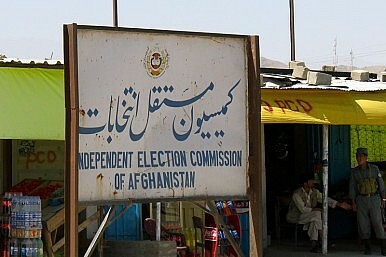 Afghanistan’s eleven presidential candidates began campaigning amidst security concerns. On Sunday, Afghanistan’s eleven presidential candidates began campaigning amidst security concerns. The general election will take place on April 5, giving presidential hopefuls just two months to appeal to Afghanistan’s diverse electorate. The winner of the election will replace President Hamid Karzai in what will be the first successful democratic transfer of power in the country’s history. Security is a major concern ahead of the elections as the Taliban have been known to target polling stations and candidates for public office in the past. According to The Washington Post, three armored vehicles and 35 police officers provided protection for several candidates during campaign activities in Kabul. The Taliban additionally have not fallen back to the Afghanistan-Pakistan border for the winter this year; they have instead intensified their attacks. The bombing of a popular restaurant in Kabul that killed several foreigners shook the city and renewed concerns that the security situation would deteriorate as the United States and NATO draw down in the country. The major front-runners in the election include former Foreign Ministers Abdullah Abdullah and Zalmay Rassoul, parliamentarian, businessman, and brother to the incumbent president Qayoum Karzai, and former World Bank technocrat Ashraf Ghani. Additionally, General Abdul Rahim Wardak, a former defense minister, educated in the United States, is also running. Washington is watching the Afghan elections quite closely, particularly as Hamid Karzai has grown increasingly skeptical of U.S. intentions and has refused to sign the bilateral security agreement (BSA) with the U.S., arguing that his successor should do so for the agreement to be legitimate. A series of recent incidents such as false claims by the Afghan government that a U.S. airstrike killed civilians and a controversial prisoner release have put the current government and the United States at odds. Most of the frontrunner presidential candidates appear to be more pro-Western than Karzai in his current state. The BSA, in particular, has seen broad support within Afghanistan, including from the November 2013 loya jirga and several ministers. Afghanistan inaugurated Ashraf Ghani as its 13th president, marking its first successful democratic transition of power.